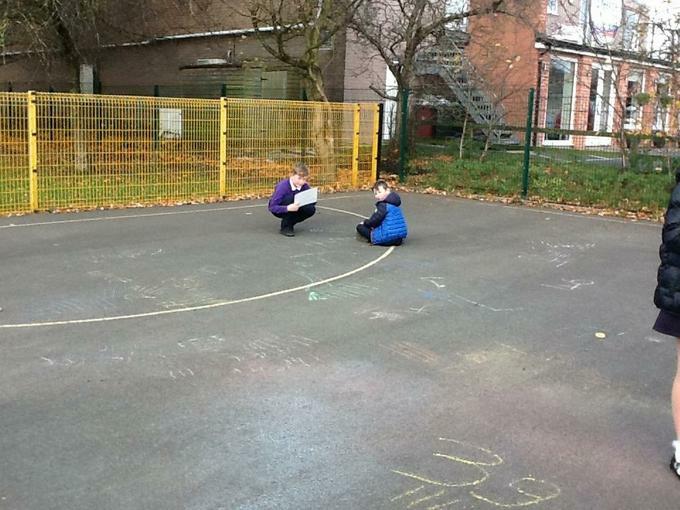 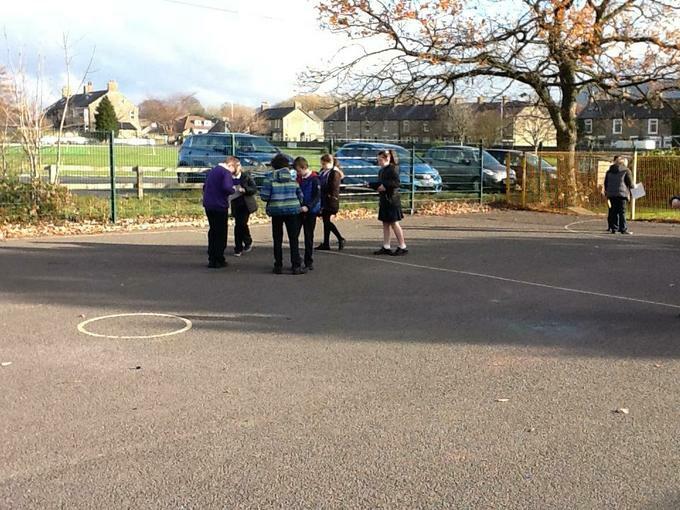 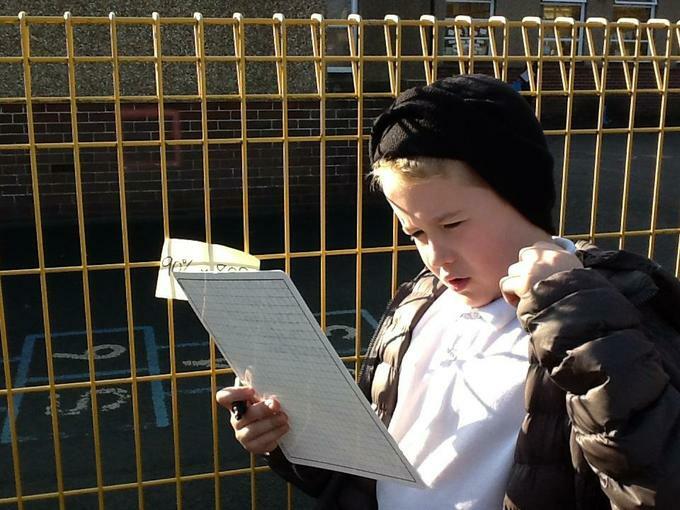 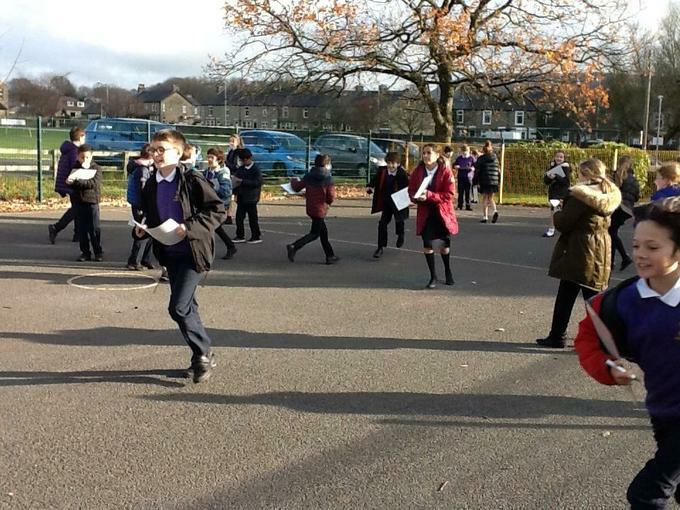 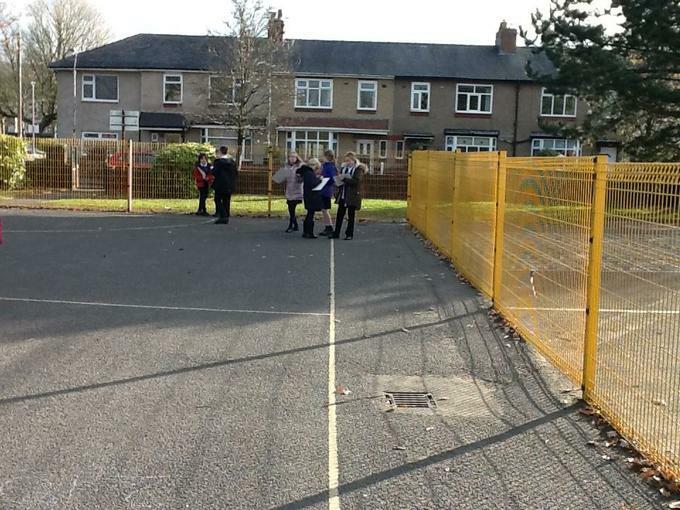 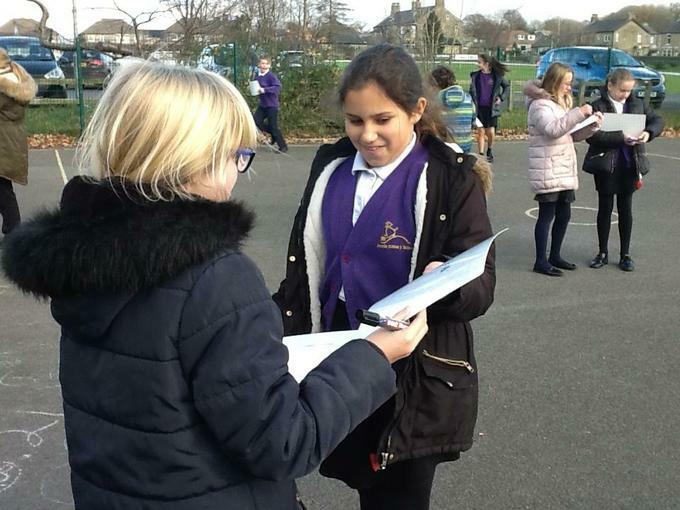 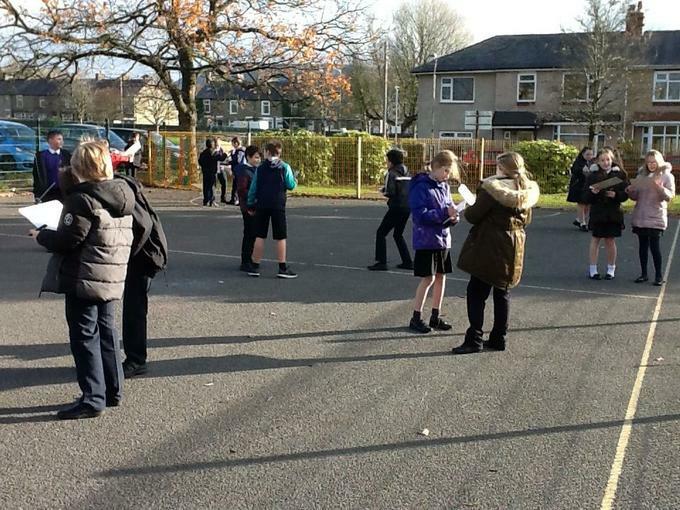 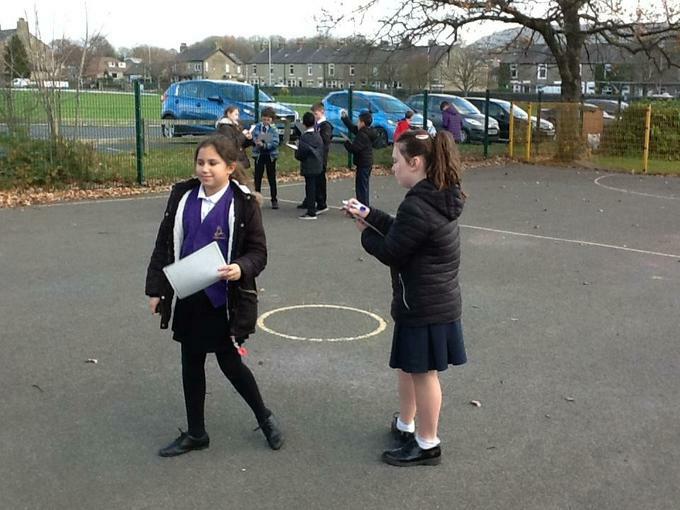 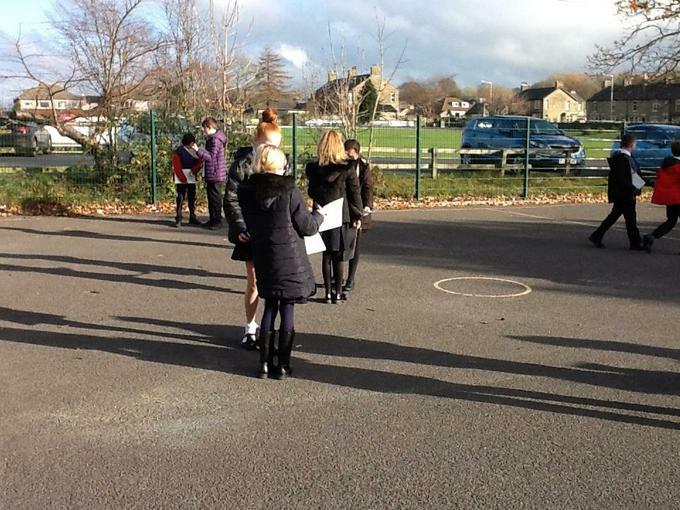 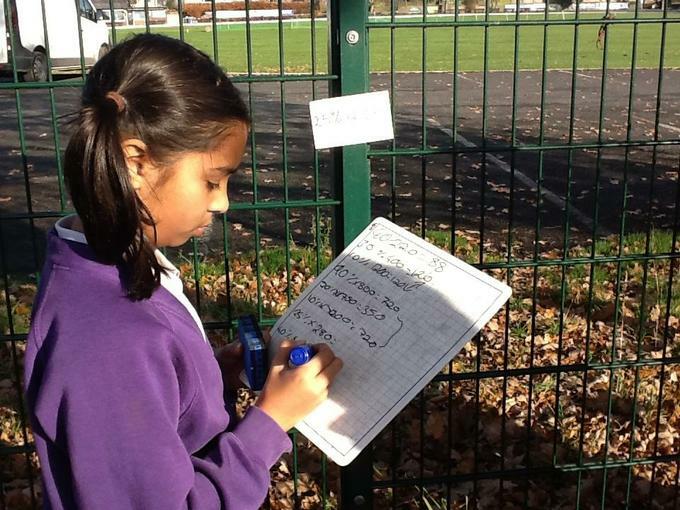 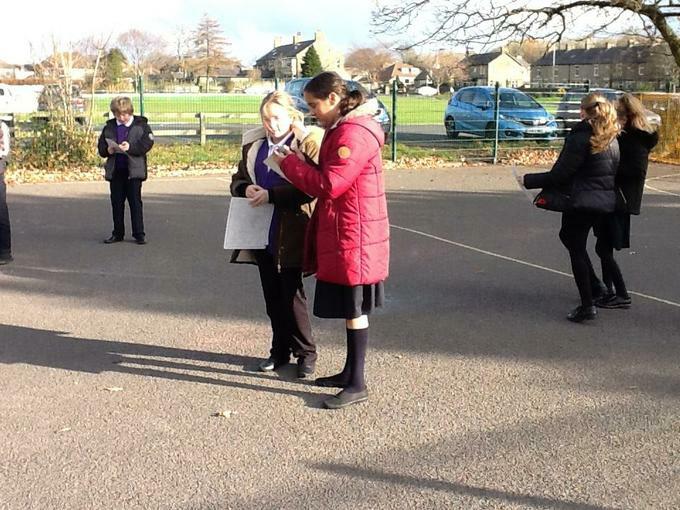 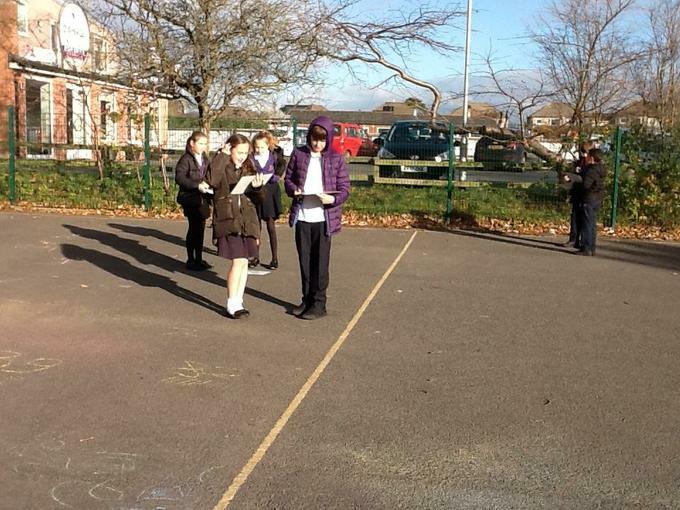 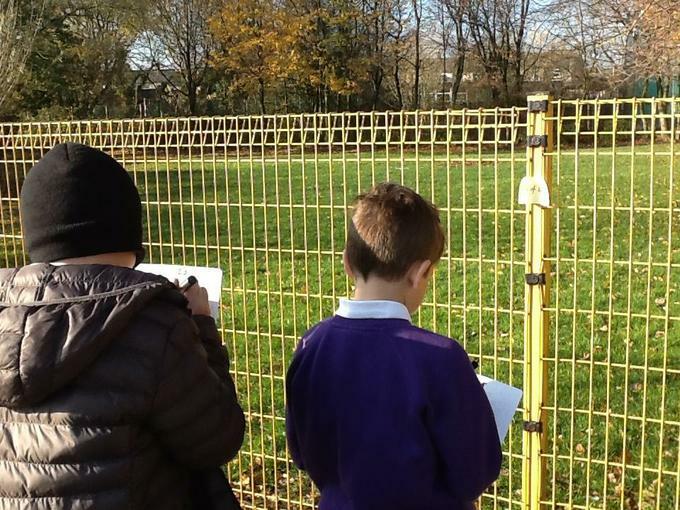 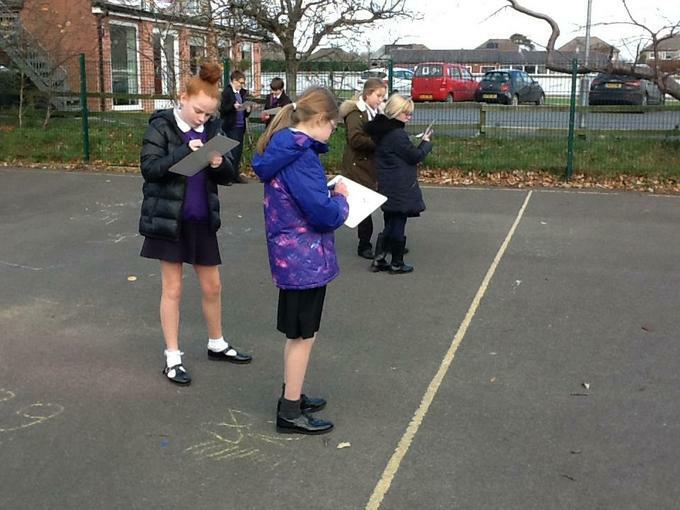 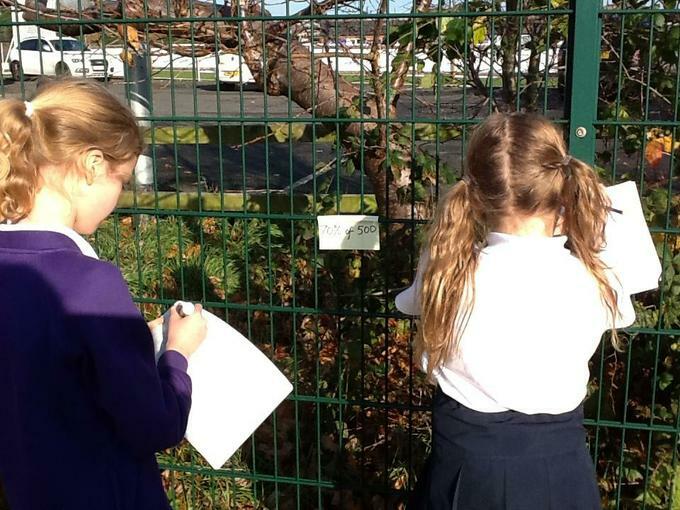 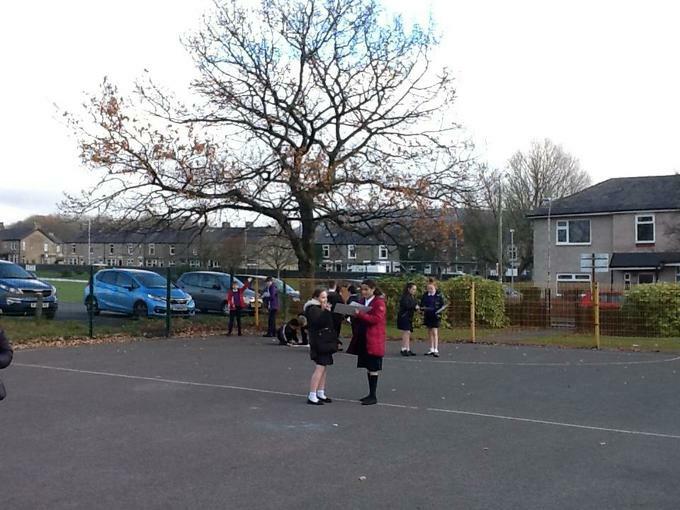 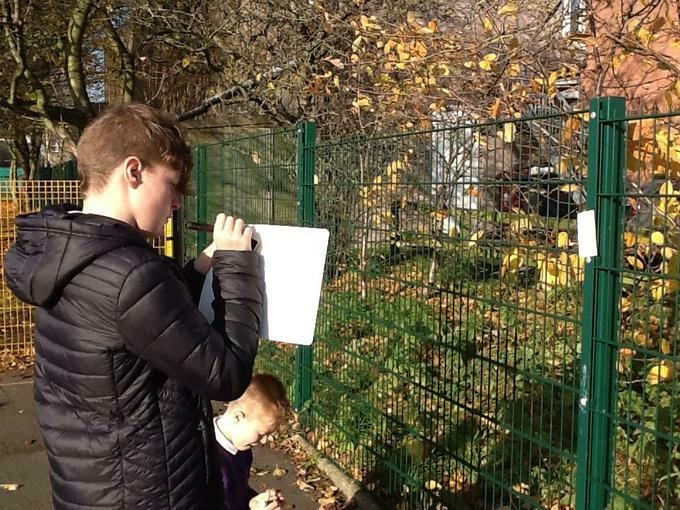 We often go outside during our mental starters to practise our quick re-call of number facts. 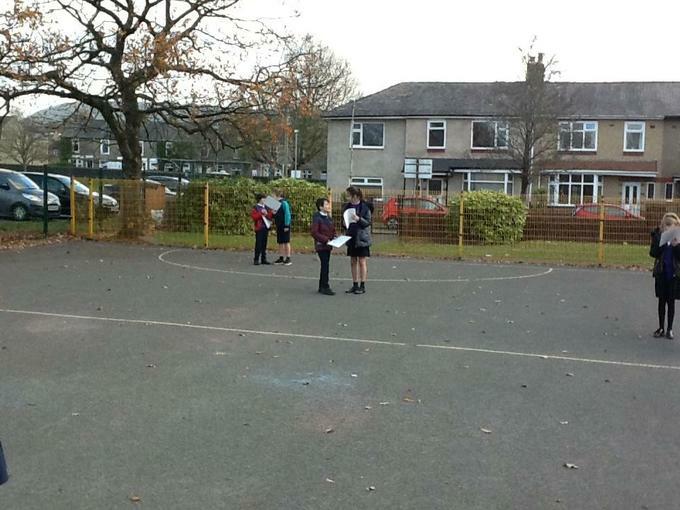 It is fun , active and gets us out in the fresh air ! 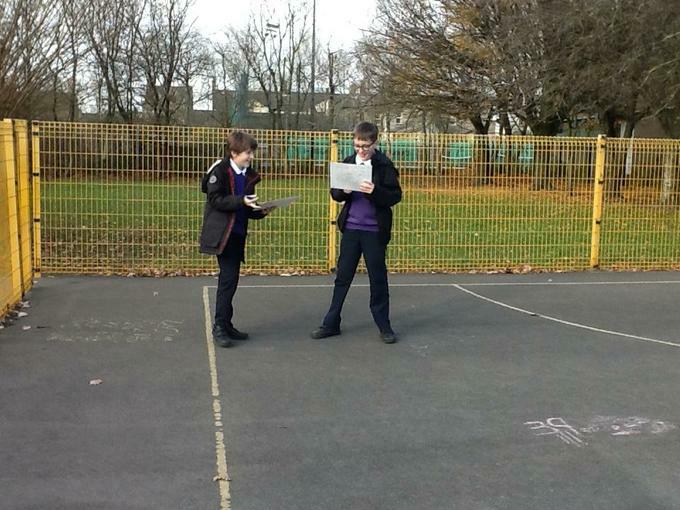 It's tricky when you have to think of the answer on the spot ! 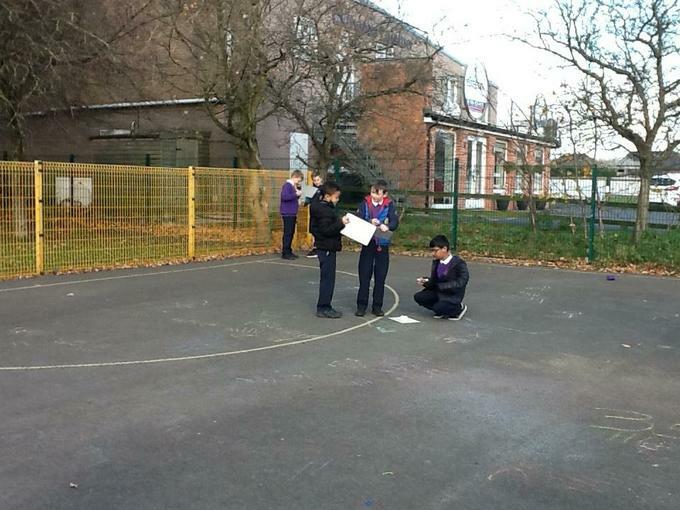 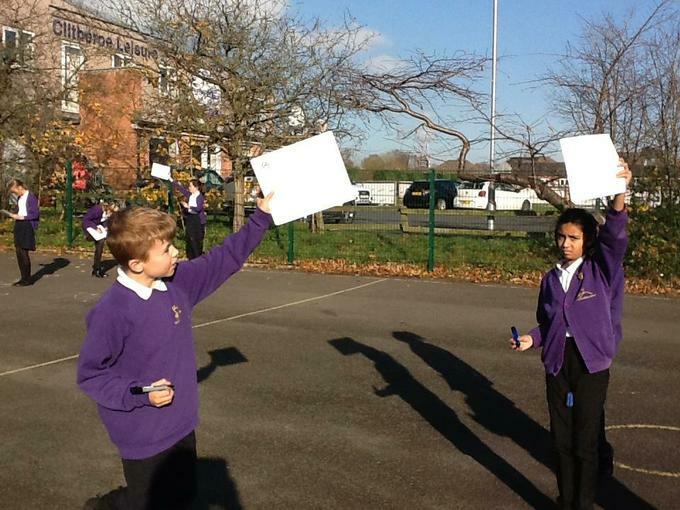 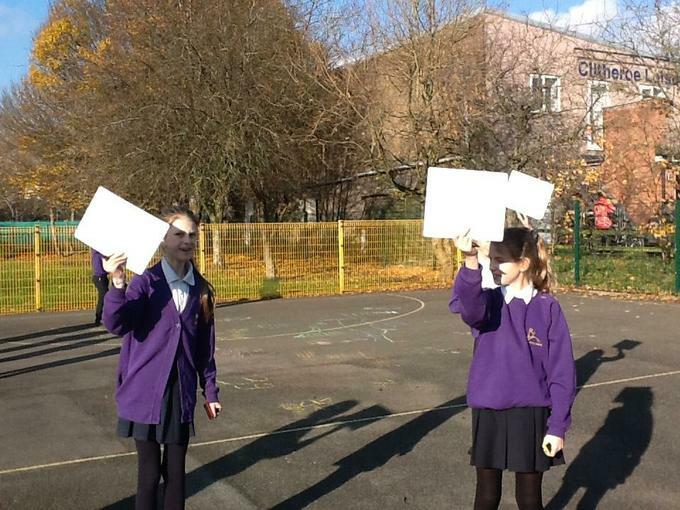 Thinking of the features of irregular 2D shapes is much more fun when we do it outside ! 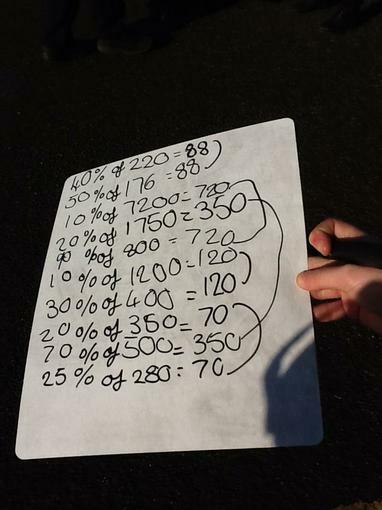 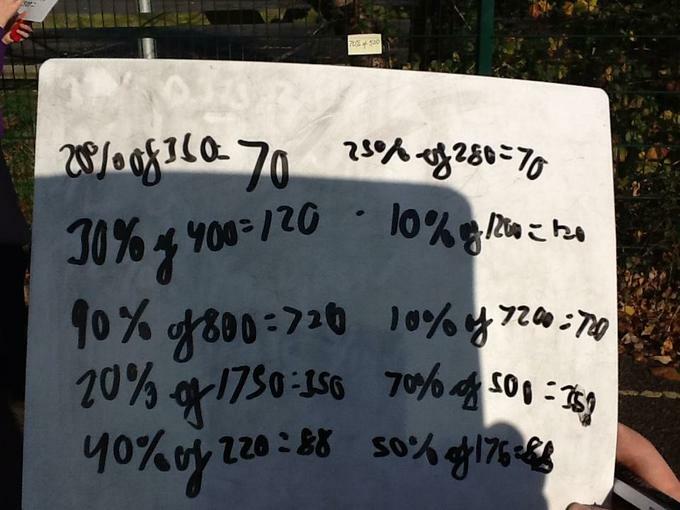 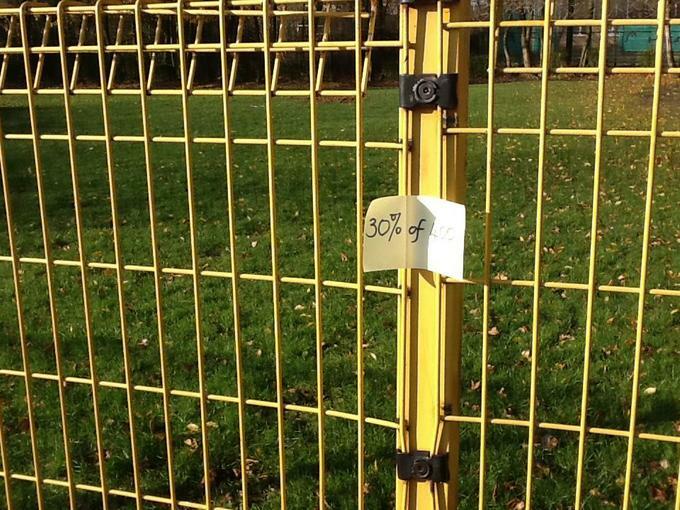 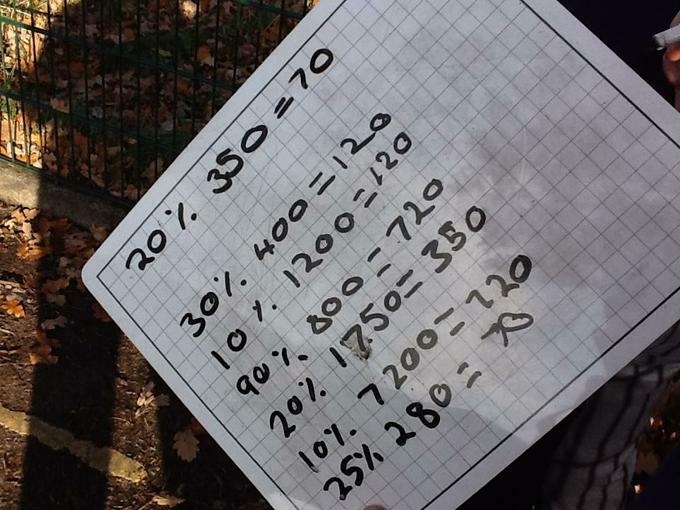 Percentage pairs is very challenging but much more fun outside !